I have a crazy kind of love for subscription boxes. My son and I are on a mission to try out pretty much every one of them (well, maybe not every one, there are some weird ones out there!). Every time I get a shiny new box in the mail, it’s like Christmas and my birthday rolled into one. What’s inside? What exciting discoveries await me? Almost every time, I end up with at least one thing that just wasn’t meant for me. Imagine my utter delight when I opened up my EcoCentric Mom box and found that every item in it was absolutely perfect for me! By the way, I received that box free in exchange for an honest review. EcoCentric Mom is a curated box filled with 5-10 non-toxic, eco-friendly products centered around a different theme each month. 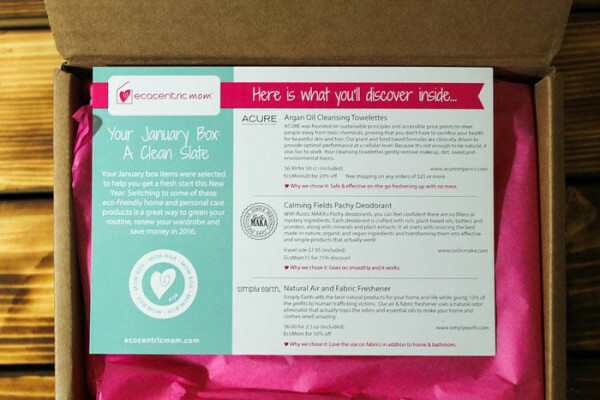 I received the January “Clean Slate” box, filled with everything from beauty products to household cleaning goodies to a surprisingly tasty treat. 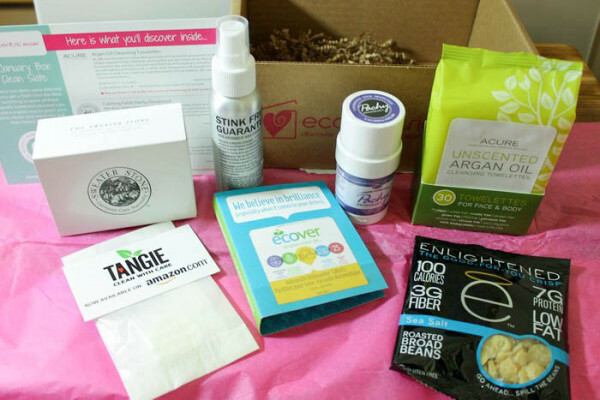 Let’s take a peek inside my EcoCentric Mom box, then I’ll tell you a few things that make them different from other subscription services. I can honestly say that I’ve used or am using everything in this box. The Argan Oil Cleansing Towelettes are one of my favorites. First, I got a nice, full-size package with 30 towelettes in it. Second, since they’re hypoallergenic and fragrance-free, they’re even gentle enough for Jacob to use. He’s at an age where I’m starting to notice minor breakouts. I don’t want to give him anything too harsh because he has super sensitive skin. I’ve found that these do a fantastic job cleaning his face at night without aggravating his skin further. Pachy is a pretty cool natural deodorant that actually works. It’s really hard to find natural deodorants that actually do their job, so I was pleasantly surprised by this one. I’m definitely interested in trying out a few of their other scents! One thing that I was super surprised to find that I liked: the broad bean snack. At first, I thought that would be the one hold out, the one item that gets tossed in the “snacks for Sal” box (he’s willing to try anything at least once). Then the other night I was reading and needed a salty snack. Since I have this infected nerve in my tooth, I can’t eat crunchy snacks that take up your whole mouth. Does that make sense? Like, pretzels and chips kind of go back and forth, no matter how hard you try to keep them contained. I figured I’d give them a try, even though I’m not really a big fan of beans. They taste nothing like beans though! They have just the right amount of crunch and so much delicious flavor. I’m on a mission to find more of them in stores near me. What Makes EcoCentric Mom Different? When I get a new subscription box, the first thing I ask is “what makes this one special?” With a zillion subscription boxes out there, it’s becoming harder and harder to stand out from the crowd. EcoCentric Mom defines itself in its category in two ways. First, every product in the box is actually useful. Even the ENLIGHTENED Crisps roasted broad bean snack was surprisingly delicious. Not a single thing in that box got tossed in my “find someone else who would like this” bin. While that stinks for my friends and family who end up on the receiving end of that bin, it’s good for those looking for true value out of a subscription box. Second, EcoCentric grows with your stages of motherhood. In addition to the popular Mom Box, they also offer a Pregnancy Box and a Baby Box. If you look at the Past Boxes, you will notice some crossover between the different types of boxes. A few items do appear in all three boxes. Each theme also has unique products that make them special. The January Pregnancy Box had an adorable gender-neutral outfit from the Tea Collection, while the Baby Box had adorable wooden blocks and natural baby oil. You can also try the monthly or bi-monthly option where you pay $24.95 as you go. Ready to sign up? Head to EcoCentric Mom to check out all the subscription options and choose the box that’s right for you. Follow on Facebook and Twitter to keep up with news. Check out their Instagram feed for fun posts and peeks into their past boxes. Which of their boxes would you check out first? Tell me in the comments! 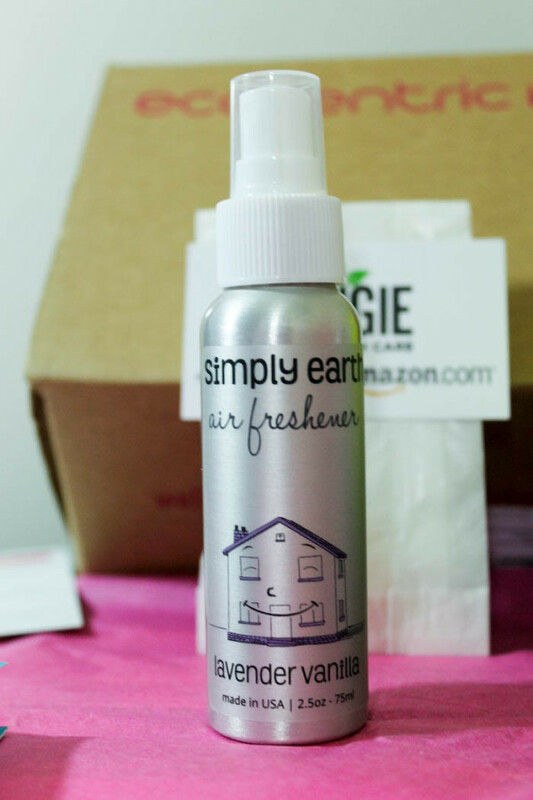 I love that this has natural, non-toxic brands! The cleansing towelettes sounds great. Look at all the good stuff in there! This sounds like a great service. Love the idea all these products are natural especially the deodorant …I have sensitive skin. I’d have so much fun trying all of these out. It’s awesome that the deodorant actually works well. I’d try it! 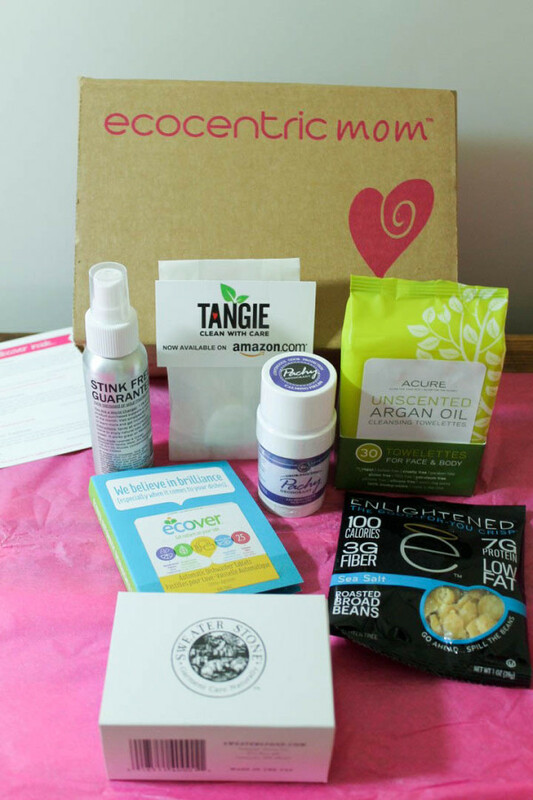 I like this subscription box, it’s full of items I wouldn’t mind having or trying! It’s great to have products that are made with natural ingredients. Thanks for sharing the contents! This looks great! I love subscription boxes! I really need to check this out, and I really need to get a subscription to the pregnancy box for my sister. She would love that. What a great collection of eco-friendly items. I like how it spans everything from cleaning to hygiene and food. I need to check them out. I haven’t heard of this box till now. I like the variety they give you. Those broad bean snacks sound really good. omg that roasted broad beans looks yum! love that argan oil too! Looks like you’ve got a lot of good stuff. I’ve been looking high and low for a good stain remover. Would love to try their stain remover! 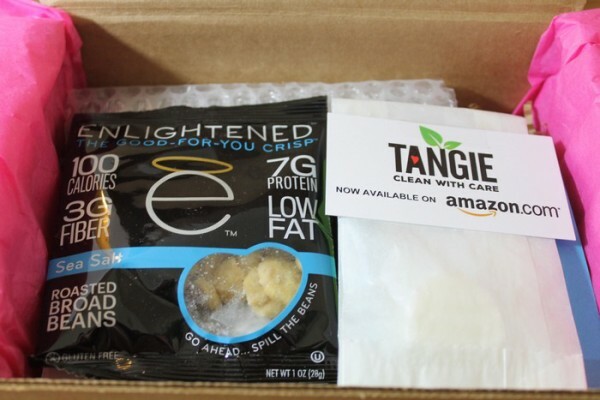 This looks like an awesome subscription box! I’d never heard of it until now. This sounds like a box I would like. I’m really interested in the Argan Oil towlettes. I was just reading about all the benefits of Argan Oil earlier today.